Unless you’ve recently emerged from hibernating in a cave for the past two decades, you’ve probably seen the movie Forrest Gump. Come on, even if you’re not a big fan of movies, you’ve still probably seen that movie. 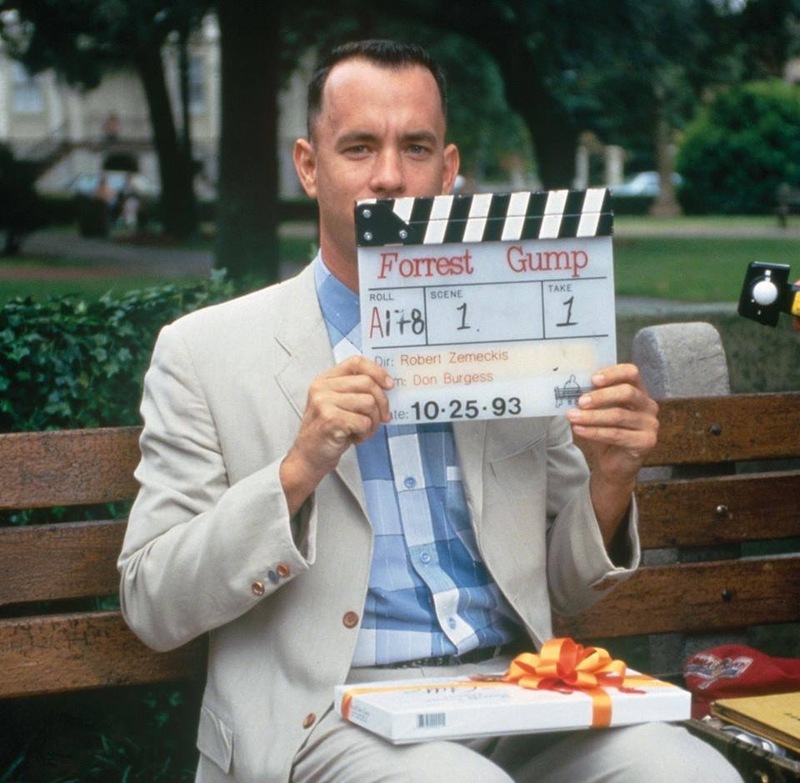 It has gone down in movie history as a classic; Forrest’s extraordinary life story told by Forrest himself, in one of Tom Hanks’ Oscar-winning performances. This movie brought in an estimated $55,000,000 at the box office, garnered numerous awards, including 6 Academy Awards. Not too shabby. If you go to the IMDb page for this movie, you will see that there are literally hundreds of names listed for cast and crew…hundreds. So many people had their eyes, ears, hands, heart and soul poured into the creation of this film, and guess what? In one shot, the iron is up – in the next shot, the iron is down. Hmmm. So, I was curious – was this the only mistake in the movie? Turns out, there are websites dedicated to pointing out movie flaws and bloopers (these folks must have a lot of time on their hands). And guess what? There were actually a lot of factual errors and continuity issues like the iron. Again, it’s not perfect. But we still love that movie. No one took away the Oscars because of these flaws. So, if a film that had a team of hundreds, one that inevitably went down as one of the greatest films of all time, has a few errors…why are we so hard on ourselves? We live in a world of flaws. We work in organizations full of flaws. Yes, it’s our job to disseminate workflows, processes and procedures to enable employees to learn, develop and succeed. But it will never be perfect. Never. Furthermore, it’s likely that you don’t have hundreds of people on your team to scrutinize every detail. Many of us are part of a small team, or possibly even a “team of one.” We do the best we can with the resources we are provided. Keep on keepin’ on, friends. Forrest Gump is complete. A done deal. 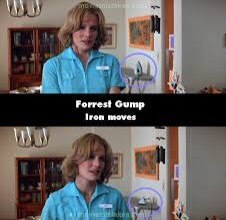 There’s no assembling the production crew 20+ years later to “fix” that pesky iron scene. But our training-leadership development-onboarding-eLearning (etc) projects? The good news is, so much of what we do allows for continuous quality improvement. As processes update, employee job requirements change, or even when we find a more effective way to facilitate learning, we can do it. Audit your courses regularly (a minimum of once per year) for accuracy and relevance. Do they still address the learning need? If not, determine what updates are necessary, or consider eliminating the program/course altogether. Monitor your metrics – what data are you getting from participants and stakeholders that validates the content or approach? Don’t make changes to your program just for the sake of change – ensure that the change addresses learning needs, business drivers or other organizational goals. Keep your eye on the content – efficiency, relevance and accuracy should trump “pretty.” Sure, a beautifully designed course is ideal, but don’t lose sight of your higher-priority tasks and responsibilities in pursuit of perfection. Your turn: How do you audit and review your programs to ensure they are accurate and relevant? Leave a comment below to share your own tips! Attending the ATD International Conference & Expo (ICE) in Denver next month? I’d love to see you there!